The Gassy Gnoll is not a rules guy. Never has been. 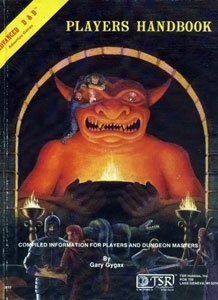 Sure, maybe there were a few moments around a table in 1982 or 1983 with my original gamer friends in junior high school where we’d argue over this or that from the Dungeon Master’s Guide or the Player’s Handbook. Sure, sometimes it becomes more “roll” playing than “role” playing at the table. And occasionally I get a bit more tactical than anything else. But overall gaming isn’t about that for me. Yes, there are dice and books and rules involved. Those elements form a common framework and a level playing field. But from that moment on it becomes more about the people playing and using their wits and imagination in a group to accomplish some common goal. If the rules get in the way of any of that, then they’re not good rules. But I’ll never truly understand the 30+ minute debates I’ve seen at some tables about things that happened in-game that caused some consternation with one or two people over interpretations of specific rules. A good GM will squash that quickly but leave the door open for a debate after the session. Make a ruling and move on so the story doesn’t suffer the consequences. Nothing kills a session faster than pulling people out of that in-character mentality to discuss some perceived or esoteric rules violation. The whole tabletop RPG experience for me is less about what we’re playing, but how we’re playing. Are we having fun? If so, then we’re doing it right. Do we have memories to take away from nearly every single session we get together? If so, then we’re doing it right. Are we tired but energized and looking forward to the next session when we’re done? If so, then we’re doing it right. Unlike board games where there’s a clear winner usually at the end, RPGs don’t work that way. Everybody wins if everybody’s having fun. And there are enough variations on a theme in gaming that if you’re not having fun with your current group then I sincerely hope you can find another group to play with. But arguing over the rules? That’s not gaming for me. Enjoying the fact that my friend Mark hears the phrase “Three ogres are chanting around the mosaic of a sun on the floor in this room…” that kicks off a mental process that leads to him to some sort of strange ogre school fight song – “Sun is hot. Sun is great. Sun is God. Fight! Fight! Fight!” And the rest of us busting up laughing. THAT is gaming for me. So rules schmules… Enjoy yourselves with people you want to spend time with and a hobby that’s meant to be fun and creative.